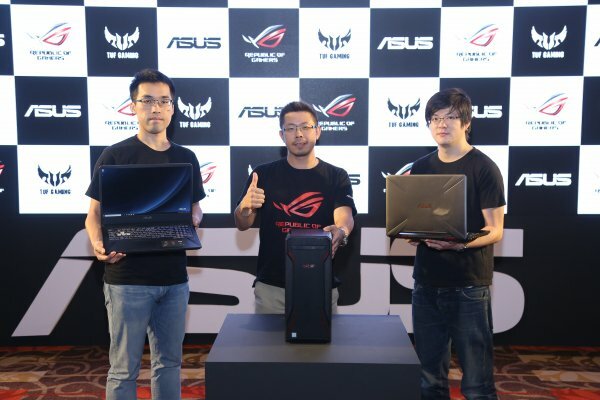 Asus has today unveiled the refrehed TUF Gaming laptops FX505 and FX705 having display of 15.6 inch and 17.3 inch, respectively. Both FX505 and FX705 are powered by up to an 8th Generation Intel Core i7-8750H CPU with six cores for best-in-class gaming experiences and for handling easily multitask workloads. These laptops come with up to NVIDIA GeForce GTX 1060 graphics for an immersive experience with upto144Hz high-refresh rate NanoEdge displays. Both the FX505 and FX705 have passed the MIL-810G military grade tests. It features the RGB keyboard and WASD key cap design for intuitive controls. With the Overstroke technology, it registers keystrokes faster for precise and effortless control. These two TUF Gaming laptops are ultra-slim with 6.5mm thickness (FX507) and 7.18mm thickness (FX705) having NanoEdge display. The FX507 and FX705 offer the faster, more reliable wireless network and extended coverage with 2T2R MU-MIMO 802.11ac Wi-Fi that rockets up to 1.7Gbps, making disconnections during games almost impossible. These laptops offer 7.1-channel virtual surround sound for an immersive and profound audio experience. These laptops have a dual-fan placement design with Anti-Dust Cooling (ADC) system. The FX505 has starting price of Rs. 79,990 and the FX705 has starting price of Rs. 1,24,990. These will be available across all channels both online and offline. It is priced at Rs. 91,990 INR and available in offline channels.